Why store your product in high cost warehousing in high cost major cities? Unlike most many major cities who lack direct oversight of their operation, Fapco maintains consistent and precise logistics and just in time stock control, so you always know where you stand and you’ll actually see your promised deliveries come through – all at a significantly lower cost. With nearly 409,000 sq.ft. 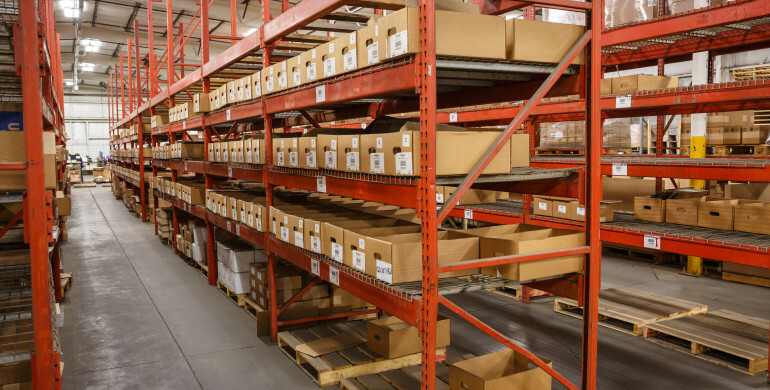 of production, warehouse and storage space, Fapco is located in South West Michigan – within one day of 36% of the U.S. population, and 3 days of all points east of the Rocky Mountains. We can also distribute product back into your distribution network when needed, or ship direct to your servicing dealer network or consumers, with just-in-time delivery. We know that handing over logistics is a large commitment. That’s why we are a reliable structure with years of experience effectively reducing your operational costs – like infrastructure capital and investment – and ultimately allowing you to focus on your core competencies. Our world-class resources, processes, services, and technologies also mean a greater economy of scale for you and greater flexibility to respond to market trends and peak periods without disruptions to distribution operations. How can we help grow your business? Let’s get started today.